Home > The Group > Tug Malta l.t.d. 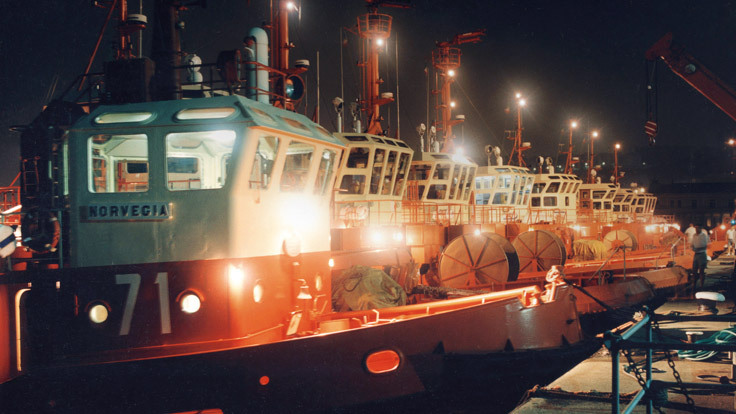 Tug Malta Limited commenced operations within the Harbours and Territorial Waters of the Maltese Islands in October 1980. After more than 25 years of operations as a public company, on the 18th July 2007, Malta Government Investments Limited, as Agent for the government of Malta, sold all the shares of the company to Rimorchiatori (Malta) Limited, a company owned by Rimorchiatori Riuniti S.p.A. of Genova, Italy. Tug Malta Limited has always been proud of staying on top of the service it provides, and has always been eager to comply with the latest safety developing standards.